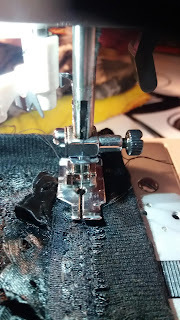 Last month, I opted for an upcycling sewing project, as I was watching a Youtube video about the fashion industry, and its environmental impacts on a global scale. I learnt for fabric production requires 200 tonnes of water to produce 1 of tonne fabric and 8,000 toxic chemicals are used in the dying process. Even after the intensive production, over 235 million garment articles end up in in a landfill, generating 26.2 million of CO2 within the UK. The most atrocious part is the clothing is recyclable. Another factor is the human cost of the clothing industry, which was highlighted after the tragic Rana Plaza factory incident; where 1,130 tragically lost their lives. It showed how unscrupulous manufacturers were using depraved practices subjugating workers to horrid conditions such, as long hours, poor and dangerous working conditions and the use of child labour all for very little pay ( Batelier 2018). 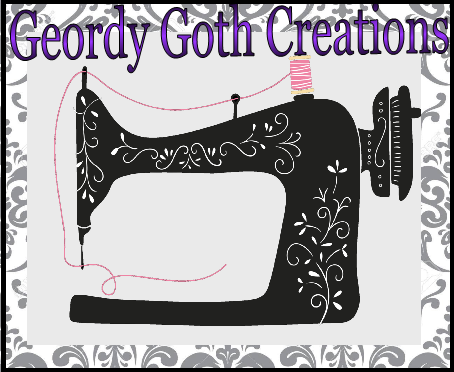 I aim to do more upcycling projects, rather than just sewing from scratch or purchasing new fabrics. I found this cardigan in a charity shop during a thrifting expedition. 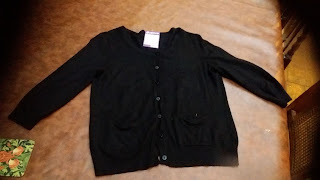 I loved the cardigans details like, the small pockets, just adorable, it had 3/4 sleeves, the scooped neckline, amazing condition, and all for the princely price of a pound. I had to have the cardigan and a perfect basic transform into a gothic granny/ Victorian Liberian style garment, I'm into this style at the moment. 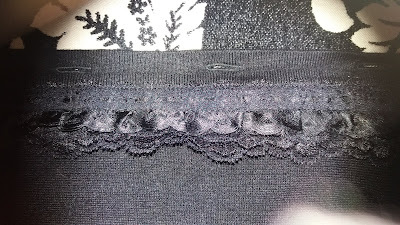 I decided to tart the cardigan using some triple ruffle lace, I purchased years ago, from eBay, it was ten yards for £4. I used me straight 1/4 quilting sewing foot for from my Amazon 30 sewing feet all for £10 collection. 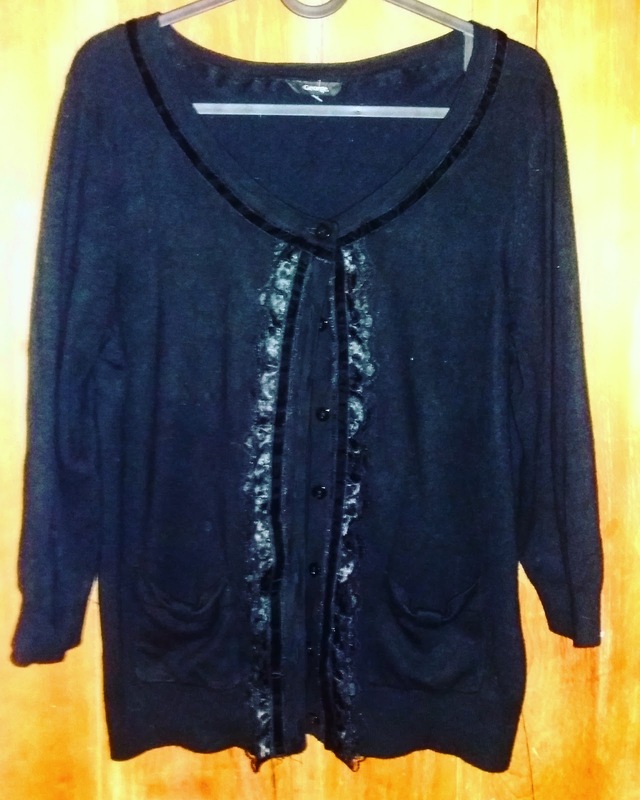 I just took my time and manipulated the lace to fit the stretch cardigan. The lace looked great, but I wanted to add some velvet trim to add extra interest. I used an edge stitch sewing foot ( I think it also called a stitch in the ditch sewing foot) for the trim, another from the 30 piece collection of sewing feet. 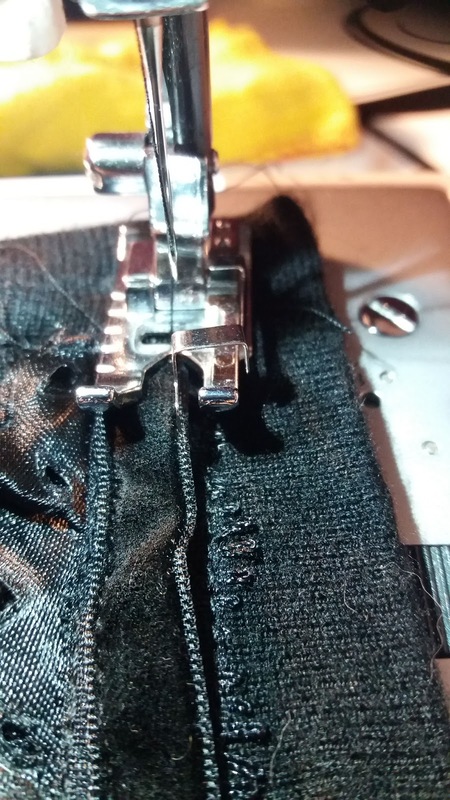 Even if you can't use a sewing machine you always hand sew. Batelier, M. (2018). The Textile Issue – London Textile Forum 2018: What, Why, How and When?. Available: http://www.lsx.org.uk/blog/textile-issue-london-textile-forum-2018/. Last accessed 06/03.2019. You put the UP in "upcycle!" Thanks. I'm really getting the upcycling bug. It's cheap, environmentally friendly and you something new. What a great idea! It's a simple change, but it made the cardigan go from plain to something special. Thanks. I love trims, and I'm trying to find a way to use it. Sometime even a small change can make a huge difference. That looks nice :) Lace always makes clothing more special! That's really cute! So simple too!